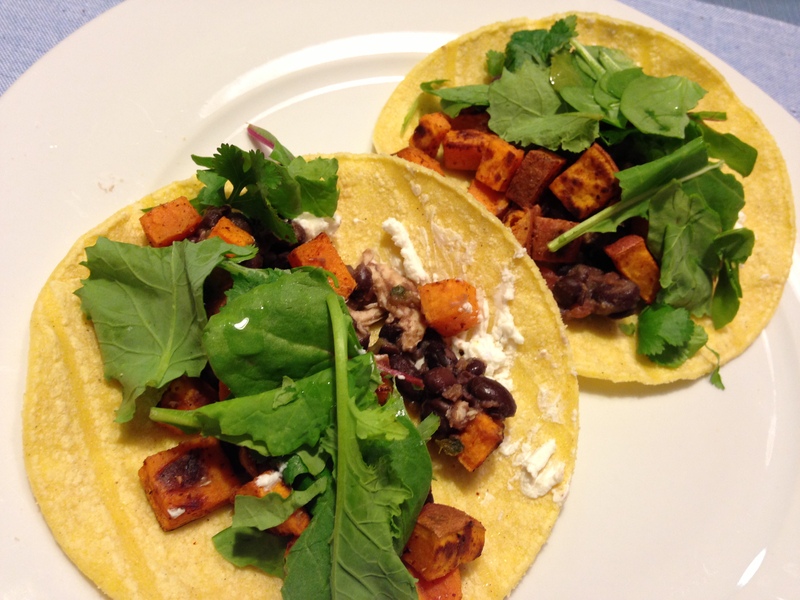 This entry was posted in Food and tagged food, gluten-free, health, nutrition, recipes, vegetarian by Catherine @ A Two Storey Home. Bookmark the permalink. I celebrate meatless monday every day haha I have been vegetarian (Semi-vegan) for a few months now and there are plenty of ways to get your protein. I have a ton of recipes on my blog that you might enjoy – approved by my meat-eating brothers! Haha, nice! I will definitely check out the recipes on your blog…approved by meat-eating guys is always a plus 🙂 Thanks! Okay – this seriously looks amazing. 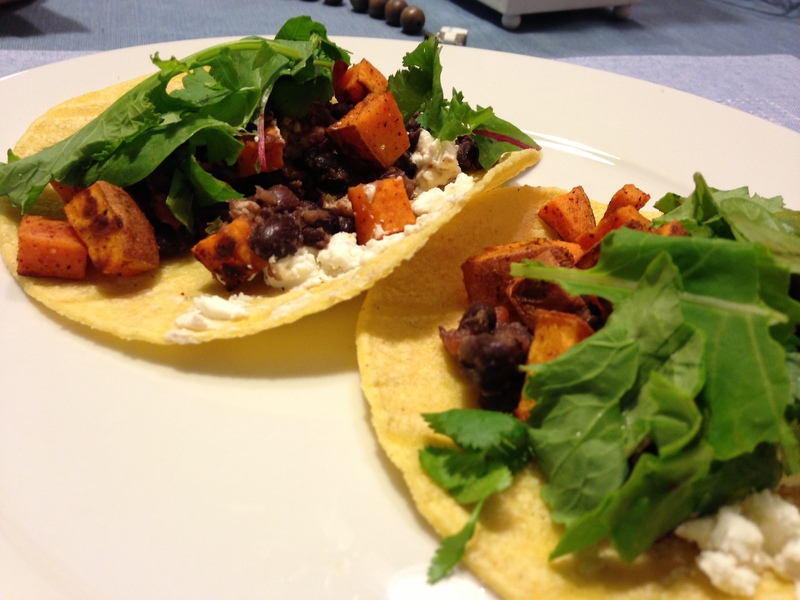 I’m a HUGE black bean fan and I LOVE sweet potatoes… this recipe combines the best things ever. And it doesn’t look too complex. I will have to add this to my list of things to try once I’m in Nashville with Adam! Thanks! It really was delicious and very easy! Must be delicious… I like the goat cheese addition. Thanks! The goat cheese definitely added great flavor to it! Hahaha, thanks! Yep, we (the husband) are not quite ready for meatless anything… baby steps 🙂 Good luck with yours!